Local media in the UAE recently reported that a complaint had been laid against a member of the public who posted footage of a violent street assault on YouTube. This media coverage had many people in the UAE talking about the legal risks of using social media in the UAE, and the importance of being aware of the applicable law. In this article, we touch on some of the legal provisions that might make social media users think twice before posting risky content. Care needs to be taken when posting pictures of others online, including via social media sites. The Cyber Crimes Law (Federal Law No. 5 of 2012) makes it an offence to use any IT means to breach someone else’s privacy, including by taking pictures of others, or publishing or displaying those pictures. The UAE Penal Code (Federal Law No 3 of 1987) makes it an offence to transmit someone’s photograph without their consent. (Our view is that this is likely to extend to moving images, and not only still images.) The Copyright Law (Federal Law No 7 of 2002 in Respect of Author Copyrights and Parallel Rights) states that, in the absence of an agreement to the contrary (and with limited exceptions), a person who takes a picture of another cannot distribute or publish such picture without the consent of the person appearing in the picture. The importance of the sanctity of the individual’s private life is recognised in a number of provisions of UAE law. Disclosing secrets relating to someone’s private life, without that person’s consent, can attract liability under the Penal Code and the Cyber Crimes Law. 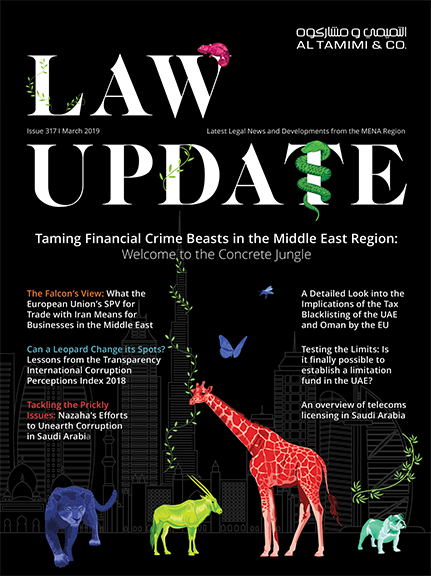 Similarly, the disclosure of confidential information, such as information belonging to an employer, can also attract legal liability in the UAE. Many of the ‘scandals’ involving social media that we read about in the local press involve the unauthorised disclosure of information relating to the private lives of the victims, or the unauthorised release of commercially sensitive information. The Penal Code makes it an offence to publish information that exposes another person to public hatred or contempt, or to make a false accusation which dishonours or discredits another person. The Cyber Crimes Law contains similar provisions that prohibit insulting others, or attributing to them conduct that would make them the subject of the contempt. Users who post defamatory statements about another person on a social media platform may find that they breach UAE law. It is not always essential for the statement to be false in order for it to be considered defamatory. UAE law also protects commercial reputations, so those operating on-line sites or social media pages that allow the public to provide feedback (eg. about poor service and the like) should familiarise themselves with the risks to which they may, as site operators, be subject. Content contrary to morality, social cohesion, etc. The Cyber Crimes Law makes it an offence to use any IT means for activities which are inconsistent with public morals and good conduct. This could include content that is un-Islamic, blasphemous, lewd, that encourages sinful activity, or that is aimed at corrupting minors, etc. It can also extend to content that might negatively impact on social cohesion and peace, such as content that that stirs sedition or sectarianism, mocks the leaders of the nation, or that hurts national unity or social peace. UAE law contains some interesting provisions relating to the responsibility of site operators for user generated content that is considered to breach these types of prohibitions, and some interesting provisions relating to the extra-territorial application of UAE law in an on-line context. Once again, users of social media should familiarise themselves with the social mores of the UAE, and the applicable law.